Bonaire offers more than 60 marked dive sites, accessible from the shore. 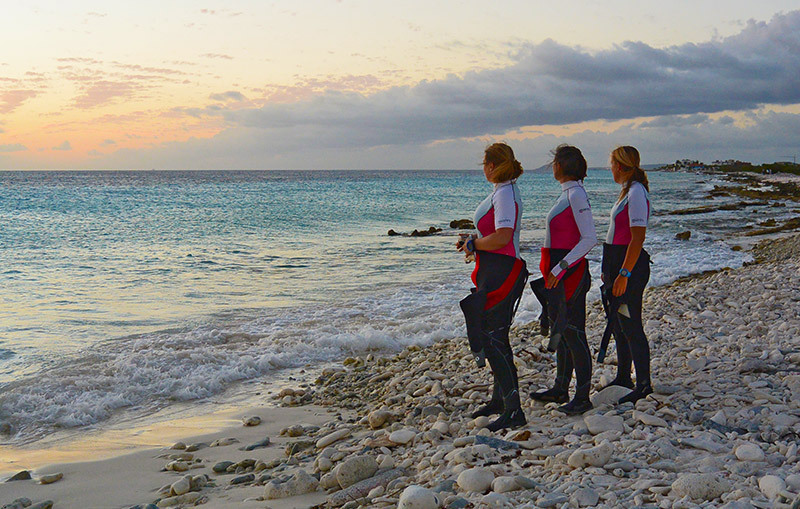 We offer many guided dives all over Bonaire to sites that you normally wouldn’t find or try by yourself. We choose dive sites based upon your experience and interest. With us, you can meet up with anything. From rare seahorses and frogfish to giant moray eels, sea turtles, rays and many more nice creatures. Ask us about our dive tours. Of course you can also explore the dive sites by yourself, We’ll gladly explain you how to dive the sites for optimal experiences.